Rebecca makes our pine needle bowls. That sounds so simple but they are really amazing. The variety of sizes and shapes has been awesome. From tiny little baskets to large fruit baskets. She has even made custom pieces for customers. Some of the bowls have been lidded. Rebecca looks for sea glass and cool shells when she travels to the beach. The bottoms of the baskets include slices of walnuts or shells to solid wood pieces, stone, jewelry pieces or metal figurines. Sometimes Rebecca will use different colored simulated leather cording for a different look. Not two baskets are ever exactly alike so if you see one you really like it's best to grab it while you can. These baskets are food safe and water safe. They can even be soap dishes! Jimmy at Atomic Child Design is a graphic designer who has taken his design work and is now creating awesome, colorful, fun items like stickers, key chains, hat (or purse or backpack) pins and other cool things. The stickers are a high quality vinyl that will hold up well to the elements on your car, your water bottle or computer or anything else you can stick it to! 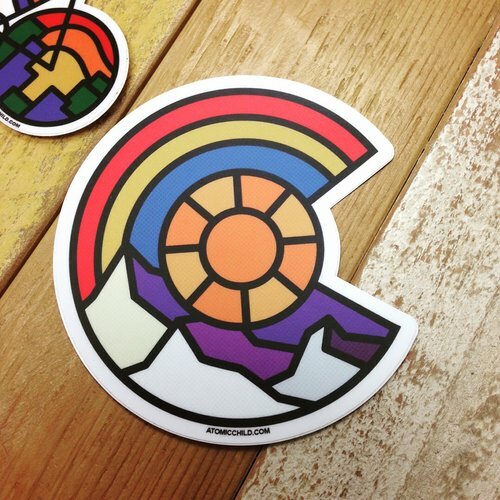 These are a great way to show your Colorado pride! Sydney has been a vendor at Caboodle for a long time. She started out making felted sweater bags but now makes mainly knitted hats and headbands. Most of her hats are a fairly simple beanie type that can be worn by men or women. It is a classic style and the colors vary from pastels to camo. Brenda makes many different clay items at Caboodle. 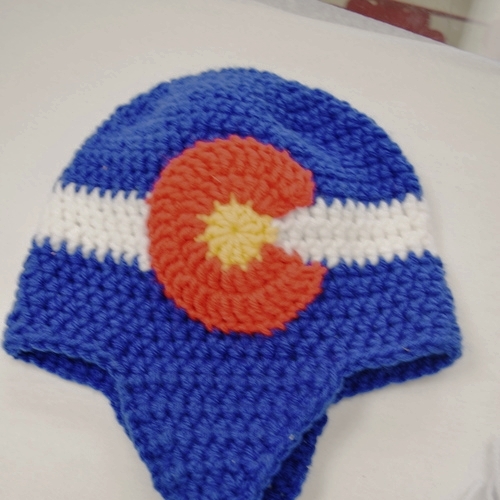 Several of her items have "Colorado" on them for those seeking a memento. Small wall hangings, tea bag holders, soap dishes, magnets. See her other listing on the Glass & Ceramics page. Carol can paint just about anything! She has painted several custom boxes for our customers and there hasn't been anything she couldn't do. We have boxes with a variety of animals, recipe boxes, cute wooden toll boxes and stones painted with the Colorado Flag. It may take a bit of time for custom work to be done but you will not be disappointed! 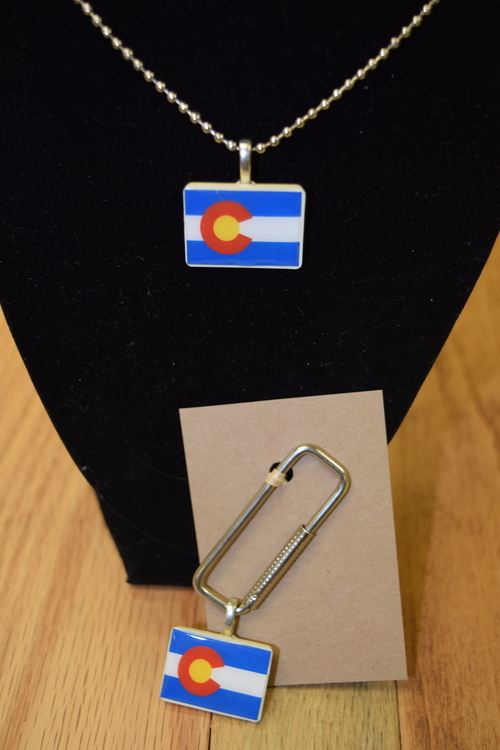 Ann makes necklaces and key chains with the Colorado state flag. They are on miniature Rumicube tiles and sealed with resin so they are very sturdy. See her other listing on the Jewelry page. Renee makes adorable cork ponies. Not just any pony though, sports team themed ponies. We currently have the Avalanche, Broncos, and Buffs. During the Rockies season we had the Rockies also. Christmas time will bring reindeer that are perfect for every tree also. Perfect for every fan! Renee also carries a fabulous Tin man from The Wizard of Oz. These tin men are big and will definitely be noticed on your porch or yard. You can't help but smile when you look at the tin man. 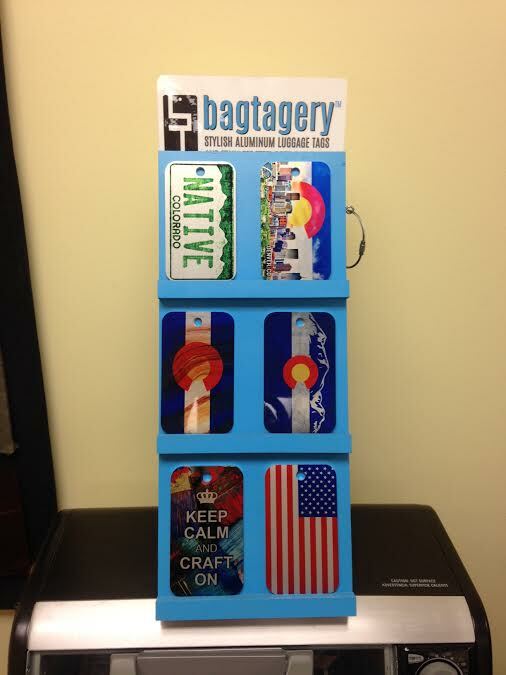 Bagtagery sells lightweight, sturdy aluminum luggage/bag tags. We carry numerous Colorado designs as well as a few inspiration quotes and sports related tags. These work wonderfully on luggage, school backpacks, gym bags, sports bags and purses. They attach with a steel, screw on cable. Colorado 14er cards are so cool! Matt loves hiking the Colorado 14ers and figured out a way to share his love of that beauty with everyone else. Not only do we have decks of cards with the 14ers (all but 2 fit a deck) filled with facts for each peak but we have magnets also. There are two types of magnets, 3 dimensional and flat. Matt has even created a 14er-opoly which is a blast to play! All Sarah does is create Colorado mugs. The design shape is the same but the glazes are different so there are several colors to choose form. These mugs are dishwasher and microwave safe! Every once in a while we have a skier and snowboarder as well as a Columbine (state flower). Elevation Creations creates masterful woodworked pieces of all kinds. There are cutting boards, wall hangings and cheese boards with an attached cutter all with a Colorado theme. Of course, we have "plain" cutting boards and cheese boards also.